Posted December 28, 2018 by Injury Attorney & filed under Personal Injury Blog. There are many different types of car crashes in Indianapolis. Although all car crashes can result in fatalities and traumatic injuries, head-on collisions can be extremely devastating. In most cases, both vehicles are traveling at higher speeds when they crash into each other. The force of the impact causes serious and traumatic injuries to the occupants of both vehicles. 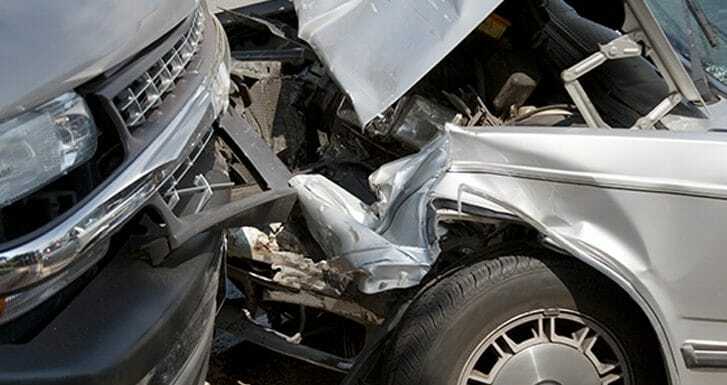 If you are involved in a head-on crash, we urge you to consult with an Indianapolis car crash attorney with our PBAR legal team. The consultation is free of charge, and you are under no obligation to hire our law firm after receiving legal advice about your accident claim. Impaired Driving — Driving under the influence of alcohol or drugs is another common cause of head-on collisions. Drugged or drunk drivers are not aware they may be swerving in and out of their lane because they are too impaired by the drugs or alcohol. Distracted Driving — Distracted driving is a common cause of head-on crashes. A driver looks down for a few seconds and slowly drifts into oncoming traffic, or a driver is busy texting or reading an email and does not notice he or she has drifted into the other lane. Fatigued or Drowsy Driving — Driving when you are tired or sleepy can cause a head-on crash. A driver who is drowsy or fatigued may fall asleep at the wheel and not wake up before the crash occurs. Failing To Yield The Right Of Way — Some head-on collisions are caused because a driver does not yield the right of way to oncoming traffic. Passing vehicles when the driver cannot see the road ahead is another cause of head-on crashes. Inadequate Road Signs or Markers — A driver may become confused if there is a lack of or misleading directional signs. For instance, if a one-way road sign is partially blocked by shrubs or has fallen, a driver may not realize he or she is driving the wrong way until it is too late. In most cases, the driver who crosses the center line or is driving the wrong direction is at-fault in a head-on car crash. While these car accident cases may seem simple, insurance companies continue to fight some cases. It is usually in your best interest to consult an Indianapolis car accident attorney before discussing the case with an insurance adjuster, providing statements, or signing releases. You want to ensure your legal rights are protected and you receive a fair and just settlement for your injuries and losses. Complete the form on our contact page or call 1-800-265-9881 or (317) 780-8000 to schedule a free case review with an experienced Indianapolis car accident attorneys. In most cases, you are not required to pay any attorney fee’s until we recover money for your claim.